It's finally that time: the moment when you get to take the ACT or the SAT to qualify for the college of your dreams. This is a big step in your academic career, and you want to make sure that it's done right the first time. The ACT has always been known as the more Math and Science-based test out of the two, and the fact that the SAT doesn't offer science questions only sums this argument up. Like with the timing of the tests, the cost of each test doesn't really change much between the two. In any case, the SAT is slightly more than the ACT. This is fine if you're great with speeding through your answers (correctly). However, most people need time to sort through the options and choose the best fit, and that's something the ACT just doesn't give you. With the ACT, not only is the Math section shorter, but you're allowed to use a calculator while you work through that category. By contrast, the SAT has a longer Math section and you aren't allowed to use a calculator the entire time. If you're someone who struggles with doing Math in the head (or at all) then the ACT would be the way to go. However, if you feel confident in your Math skills, you'd be better off taking on the SAT. Since we're on the subject of Math, we need to also recognize that the actual presentation of Math is also done differently. For starters, the SAT is all about reference guides, and it provides you with a diagram of Math formulas (specifically Geometry). The ACT, however, doesn't do this. This means that before you walk into the ACT testing center, you have to have all of your formulas memorized beforehand. They don't give you any help prior to or during the test. Finally, there's the fact that each test weighs the Math section differently. On the ACT, the Math category only counts for one-quarter of your final score. However, the SAT counts Math as a half of your total score. For the ACT, all of the Reading passages are around a 9th-grade reading level, so, for the most part, there shouldn't be anything too challenging about it. By contrast, the SAT's Reading passages vary by each question. They could be anywhere in difficulty from early high school to early college level passages. If you aren't too fond of reading exercises, then the ACT would be your best bet. However, if you're proficient in reading or if you plan on going into an English-based major in college, then the SAT would be a much better option. Now that you know all about the ACT vs SAT and the benefits of taking each one, you need to know where to go in order to complete your college preparations. Luckily, we're here to help you with that. 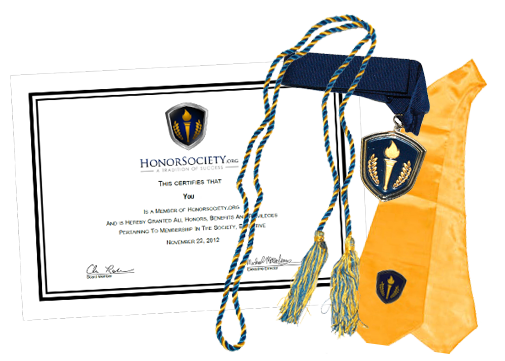 The Honor Society has long stood for the highest standard of academic excellence, and we're proud to support students who showcase these feats. Have a question you would like to ask us? We'd be happy to help you. Simply send us a message and we'll get back to you as soon as possible to answer any questions you may have. Albert Li: My Study Abroad Scholarship!